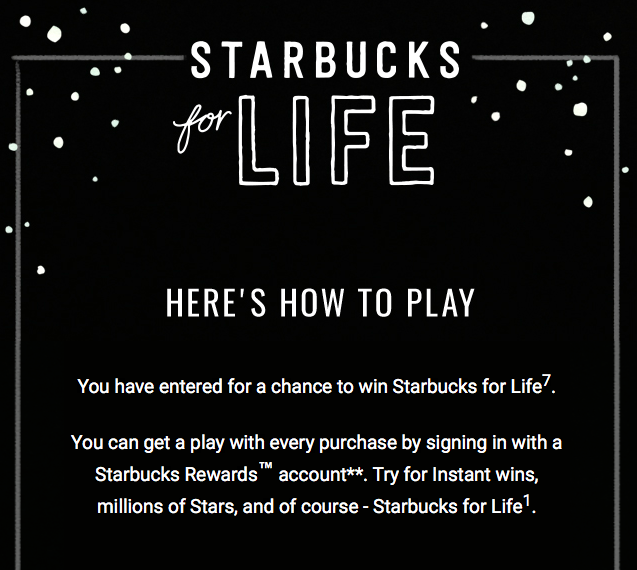 Starting today, December 5th, everyone is eligible to win free Starbucks for life! Okay, there is a catch, and that catch is that it’s actually not free Starbucks for life, but for 30 years. But if you’re complaining that you only get free Starbucks for 30 years, well, you’ve got some high-class problems. Entering the contest is incredibly easy —go to StarbucksForLife.com (lol that URL) and enter your email address and zip code. If you are named a winner, they’ll require that you become a Starbucks Rewards member to claim your prize. 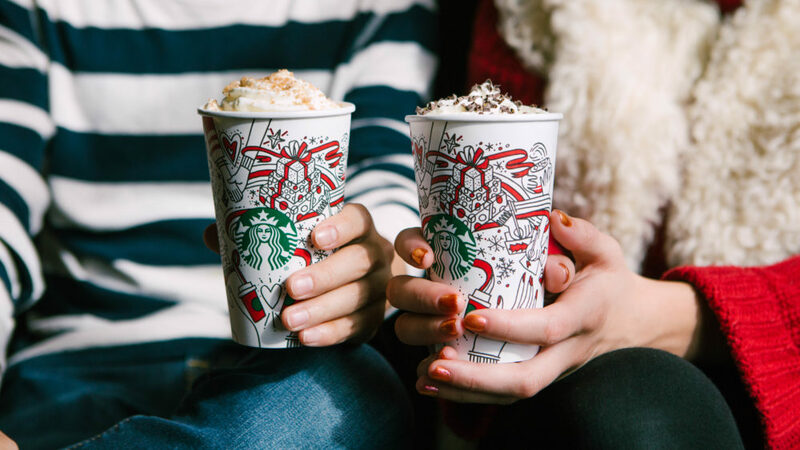 If you enter and then decide to become a Starbucks Rewards member, you’ll get additional entries to the contest each time you shop at Starbucks for the rest of the month. However, you can only play twice per day. Assuming you win and take advantage of it every day, that’s roughly $43,000 in Starbucks products over the course of your life. In addition to the big prize, anyone who spends at Starbucks during December by using the mobile app or a registered gift card will earn Gold status in the rewards program. Gold status is normally achieved by spending $150 at Starbucks over the course of a year. On top of all that, baristas will be handing out 50,000 $20 gift cards over the next few weeks at various community events, so you could find yourself winning one of those as well. Fingers crossed and a merry Starbucks to us all!